Requiring Christians to be circumcised meant submitting to a false understanding of the Law. 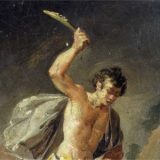 Those who demanded it had the appearance of following the Law, because God certainly commanded circumcision, but they had misunderstood its purpose. They sought a justification with the Law as mediator, so that the same Law which condemned them would also somehow justify them in the sight of God. Yet this did not annul the promise given to Abraham. The righteous shall live by faith. Paul’s intense, mother-like concern for the Galatians meant that he sought to bring them back to a proper understanding of the Law and of the Gospel. “Tell me, you who desire to be under the law, do you not listen to the law?” The Law itself testified to its own proper understanding. Those who misunderstood it did so precisely because they failed to listen to it in the first place! Had they listened, they would have known that the righteous shall live by faith, but because they sought to be the cause of their own salvation, they had shut their ears and closed their eyes. Paul employs an allegory to explain what he means. Scripture is full of devices like this, such as the parables in general, allegories like 2 Samuel 12:1-15, even fable-like stories like Judges 9:8-15. Their purpose is always to illustrate. Here in Galatians, Paul is not revealing the secret, hidden, “actual” meaning of Genesis 16, as if the history itself were of secondary importance. Rather, the history of Abraham himself, the one to whom the promise was made, provides an apt metaphor that illuminates what Paul means. 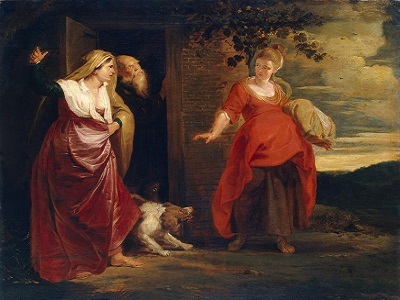 Sarai, in an attempt to seemingly jump start the promise of a son made to Abraham in Genesis 15, offers her Egyptian servant Hagar to Abraham as a wife, thinking that “it may be that I shall obtain children by her” (Genesis 16:2). Hagar, a headstrong woman by nature, uses her pregnancy as an opportunity for gloating over her mistress, a move which cause Sarai to have her expelled. After Hagar is humbled and returns, she gives birth to Ishmael (Genesis 16:15). Ishmael, however, similar in temperament to his mother, mocked Isaac (Genesis 21:9). Thus, Sarah brings the same judgment upon the pair, saying “Cast out this slave woman with her son, for the son of this slave woman shall not be heir with my son Isaac” (Genesis 21:10). 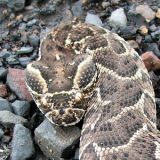 Whatever may be said of Sarah’s motives, the Lord confirms her words, though he promises that he will also increase Ishmael for Abraham’s sake. Paul note that Ishmael was born “according to the flesh,” because he was not the promised son. Not even Abraham could fulfill the promise on his own terms! The Lord gave Isaac according to His promise in His own time and in His own way. Hagar corresponds to “Mount Sinai, bearing children from slavery,” “corresponding to the present Jerusalem” (Galatians 4:25). Those who would be justified by the Law, having the Law as a mediator, are indeed the fleshly offspring of Abraham, just as Ishmael was! But the flesh is of no account before the Lord. The just shall live by faith, not by the flesh. Sarah, for all her faults, stands for the “Jerusalem above,” the barren one whose children exceed the fruitful. The inheritance of God does not belong to the sons of Ishmael, the fleshly sons of Abraham, but to the sons of Isaac, his spiritual sons. Ishmael himself “was a wild donkey of a man, his hand against everyone and everyone’s hand against him, and he [dwelt] over against all his kinsmen” (Genesis 16:12). Coupled with his mockery of Isaac which caused him to be expelled, he stands for those who persecute those born of the Spirit (Galatians 4:29). This has always been true, since the days of Cain, who murdered Abel “because his own deeds were evil and his brother’s righteous” (1 John 3:12). All the righteous blood shed on earth, “from the blood of righteous Abel to the blood of Zechariah the son of Barachiah,” shall come upon those who seek a righteousness apart from faith, for they are the sons of those who murdered the prophets (Matthew 23:29-36). Through this allegory, therefore, Paul demonstrates what he clearly states in the following chapter. “You are severed from Christ, you who would be justified by the law; you have fallen away from grace” (Galatians 5:4). You desire to be the sons of Hagar, sons of Abraham according only to the flesh! But our righteousness does not come from the Law, for the Law condemns us as law-breakers. Our righteousness is of Christ by faith. “For in Christ Jesus neither circumcision nor uncircumcision counts for anything, but only faith working through love” (Galatians 5:6).